Breathers - CST The Composites Store, Inc.
Econoweave 44, 4 oz. 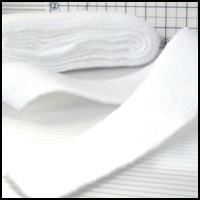 Breather/Bleeder Strip, 2" x 12 ft. pkg. Econoweave 44, 4 oz. Breather/Bleeder Strip, 2", 100 yds./rl. Econoweave 44, 4 oz. Breather/Bleeder, 15", 6 yd. pkg. Econoweave 44, 4 oz. Breather/Bleeder, 15", 10-24 yds. Econoweave 44, 4 oz. Breather/Bleeder, 15", 25-99 yds. 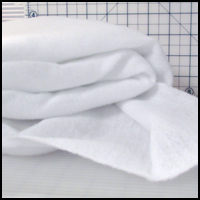 Econoweave 44, 4 oz. Breather/Bleeder, 15", 100 yds./rl. Econoweave 44, 4 oz. Breather/Bleeder, 30", 1 yd. pkg. Econoweave 44, 4 oz. Breather/Bleeder, 30", 10-24 yds. Econoweave 44, 4 oz. Breather/Bleeder, 30", 25-99 yds. Econoweave 44, 4 oz. Breather/Bleeder, 30", 100 yds./rl. Econoweave 44, 4 oz. Breather/Bleeder, 60", 1 yd. pkg. Econoweave 44, 4 oz. Breather/Bleeder, 60", 10-24 yds. Econoweave 44, 4 oz. Breather/Bleeder, 60", 25-99 yds. Econoweave 44, 4 oz. Breather/Bleeder, 60", 100 yds./rl.